I have always had great admiration for creative people, be they from the performing arts, painters, graphic artists, photographers etc. Their thought processes seems to work on a different plane from us ordinary folks and their perspective on life is far more colourful and thought provoking. Their eye for the extraordinary and exquisite is heightened to an amazing level. Needless to say I am somewhat envious of their inherent talents and have wished – for many an umpteen times – that I possess even a smidgeon of their endowments. Such is the case when it comes to painters, especially those of the ‘impressionist’ era like Matisse, Degas, Monet and a host of other master painters of this genre. Their impressions of the world around them is imbued with such a wonderful palette of colours and form that I can’t help but look at their works with different eyes. But the one painter I admire most of all is Vincent Van Gogh – the Dutch master painter whose own life played out like a cliche of all the sad, poverty stricken and ultimately tragic circumstances that we often equate with creative geniuses. For all his prodigious talents Van Gogh only ever sold one painting while he was alive. Only in death did his creative powers achieve the mass appreciation and acceptance that so sadly eluded him. Our resident wonder singer is not quite on the same level of genius as the above mentioned….yet. But still many a times I have been gobsmacked and left just shaking my head at the sheer artistry of this man-child that we follow. He has displayed so many wondrous moments of vocal command and panache that one wonders why he is not scaling Mount Olympus by now – but lets not rehash old stories. The purpose of this post is to pay homage to the painters that I admire and the one singer that I really hope will become master of his canvass one day. In the gallery below I have married the image of David with a catalog of works by some of the most celebrated painters in the world. It is my attempt to connect the worlds of paint and voice – two mediums of artistic expression that can truly inspire and move us with the power of their art. Hopefully David will achieve the same inspirational heights that these painters have done. Hey guys, now that most of us must have downloaded (legally of course) (perhaps with the exception of Uncle John who has been struggling frantically with iTunes 🙂 ) and received our physical copies of Begin, there is something we need to do. 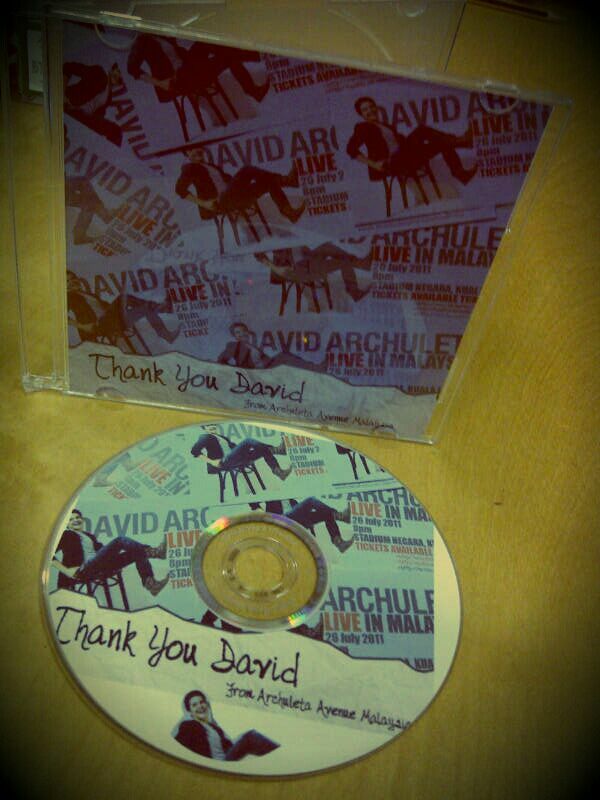 WE NEED TO THANK DAVID. Below is a pic of postcards of Malaysia which some of us Aam’ers are sending to David’s postbox, expressing our thanks and encouragement to him. 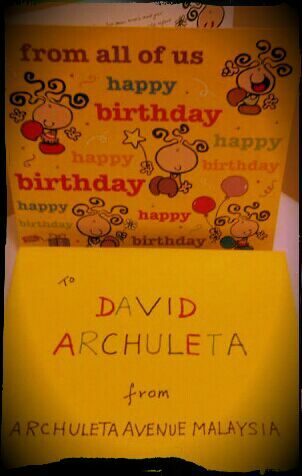 These cards will then be forwarded to David in Chile by Kari and his team. David has overwhelmed us with Begin. Let us overwhelm him with a show of our appreciation and love for it. He would be so happy to know that we are still here loving his music and waiting for his return. Pave the way for another concert in Malaysia! 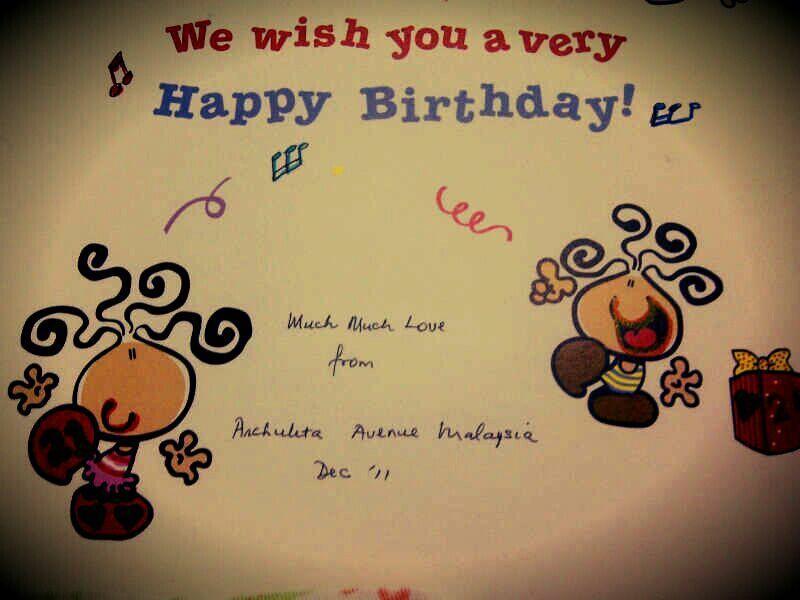 Write your name and Archuleta Avenue Malaysia on the postcard so that he will know it’s from us. Dear oh dear! You guys definitely need salvaging from what’s left of you. You need to be saved and diverted from those harmful palpitations before you succumb to the fatalities of a David-Snippets-Attack – which, tut tut..does nothing really but leaves you with a heart half-satisfied and a desire unfulfilled. So let me give you some distractions of the more earthly kind to last you for a week or two before the bombshell of the Album explodes in our midst. Devitalised now of energy and kaput of moolah in my failed search-mission of David, and after a few words of encouragement from our dear Uncle John, I am posting some pics and a couple of sob-stories. I’ve looked for him everywhere I could. Swear. But he is nowhere in sight. 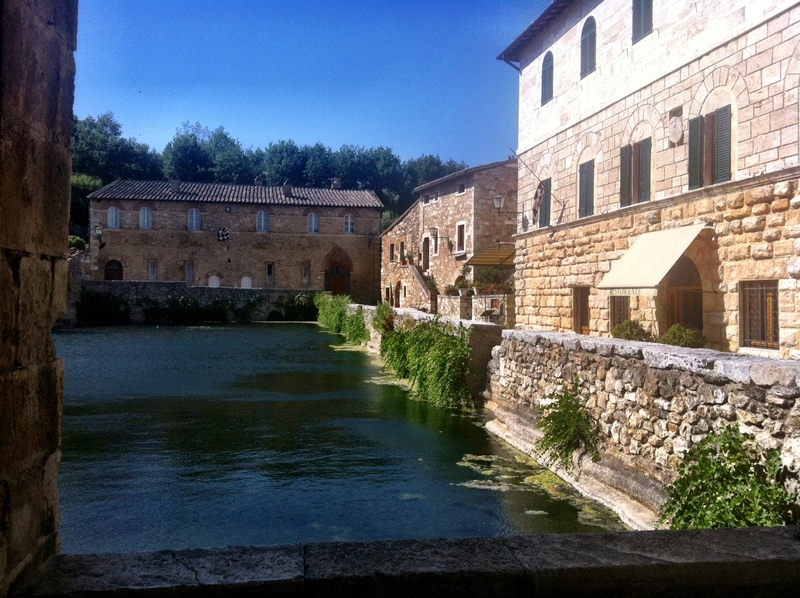 From soaking in the breathlessly beautiful landscapes of the Tuscan rolling hills – to frolicking amongst the ruins and ancient towns and villages of Arezzo, Talla, Siena, Pienza, Cortina etc. From trudging up the hilly forests of La Verna which lead up to the 12th Century monastery of San Francesco (St. Francis) – to searching through the amazing Renaissance artworks and treasures of Siena and Firenze – From munching my way through the yummy mountain village cafes – to waking every morning to the haunting chimes of church bells – There is so much to savour and explore, it will take a lifetime to cover. All that done – and David is still nowhere in sight. My half-past six theory has proven to be one of whimsical fantasy and capricious eccentricity. 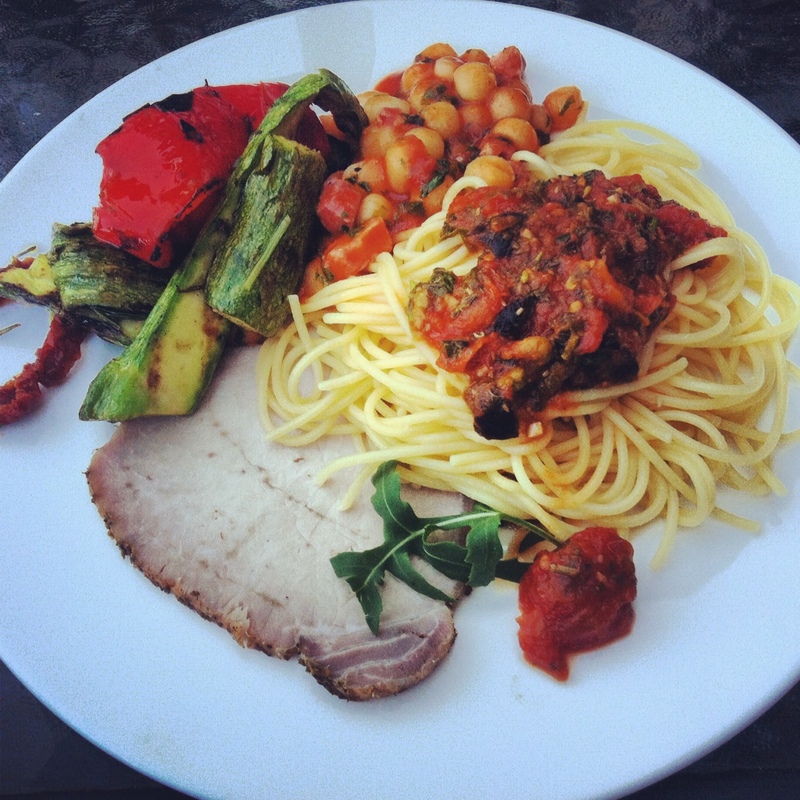 David is truly NOT in Tuscany. “You looking for David?” asks an Italian passerby in his heavily-accented English, and clad in a black robe with an enormous wooden cross across his chest, looking every inch an Elder…I mean…a Padre. “Try Firenze” (Florence) he says. 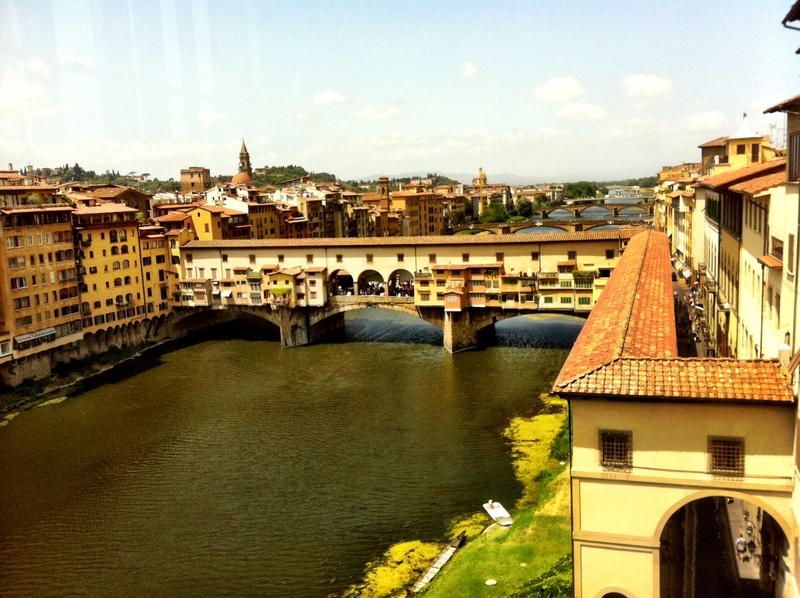 So I plod to Firenze, the cradle of Renaissance. Not only did I find David. I found 4 David’s – each looking more naked than the last. The 1st one is at the Plazza Vecchio. Then I found David again high up at the Piazzale Michelangelo overlooking all the rooftops of Firenze. There is also a punkish David cheekily painted with bright pink skin and blonde hair outside the Medici’s Uffizi, where there were rows of sculptures of ancient Roman emperors – which particularly interested me because I can now put a face to these men (and women) with extreme power and often outrageous evil and madness as told to us in the study of Roman history. 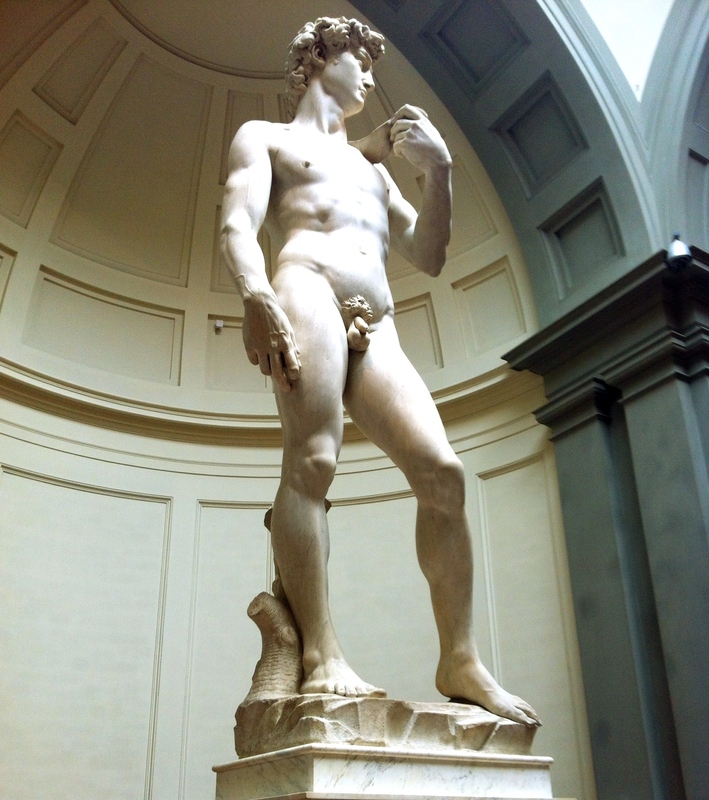 But the true glory of Michelangelo’s divine creation of David, sculpted by the Great Master’s own fair hands, stands majestically high above our heads, in the middle of Tribuna of the Accademia. So magnificent a sight it was, and so touched was I by its beauty of sculpture that I forgot our David for 8 whole minutes! 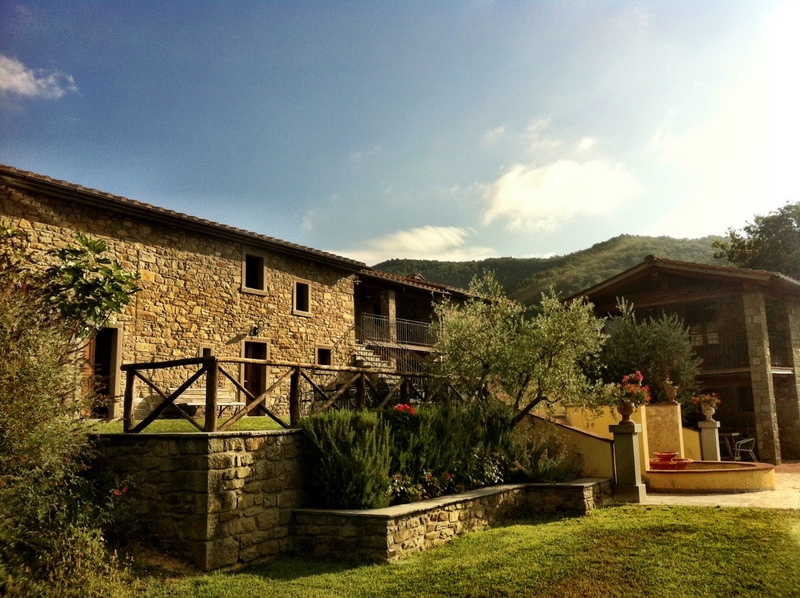 The remote villa of Striano, tucked in the middle of Mediterranean vegetation of cypresses, pines and poplars, near the ancient village of Talla where we tayed for 2 weeks swimming, sort-of trekking, cooking humongous Italian meals and gorging ourselves sick. 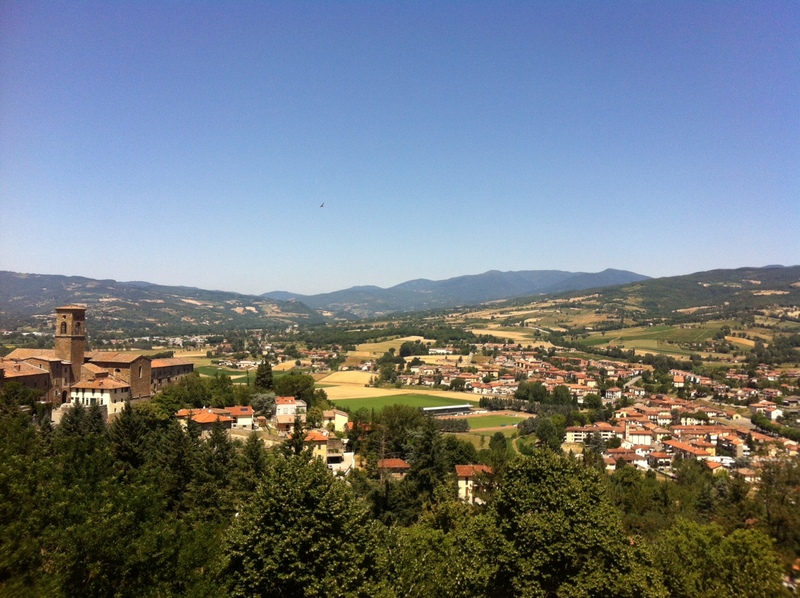 Typical Tuscan countryside seen from a high point in the old town of Cortona. Told ya – can’t see David anywhere. A beautiful thermal spring at Bagno Vignoni which feeds its water to a rocky mountain stream where we bathed and smudged ourselves with limestone clay. Great fun. David would of course never be seen bathing in public – I am such an idiot for trying to find him here. 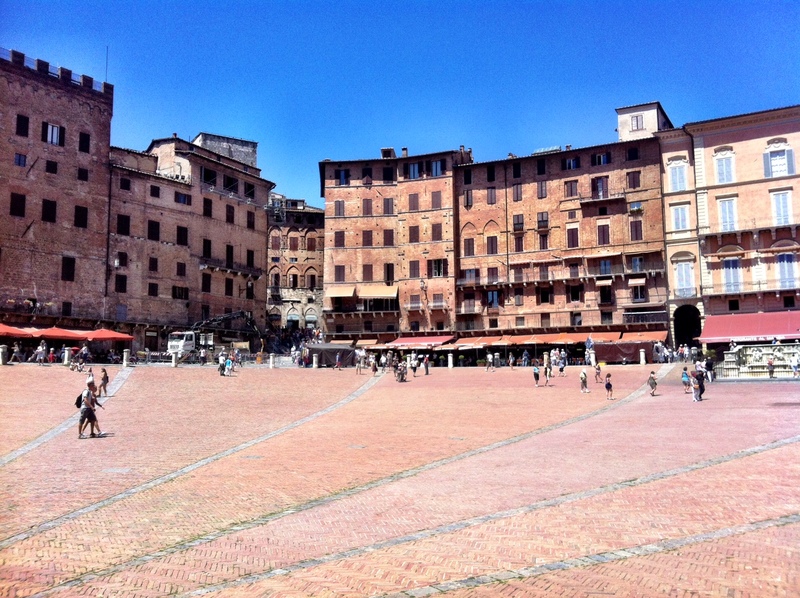 Siena, a truly beautiful historical town in various shades of terracotta, drawing throngs of tourists. He is not here either. 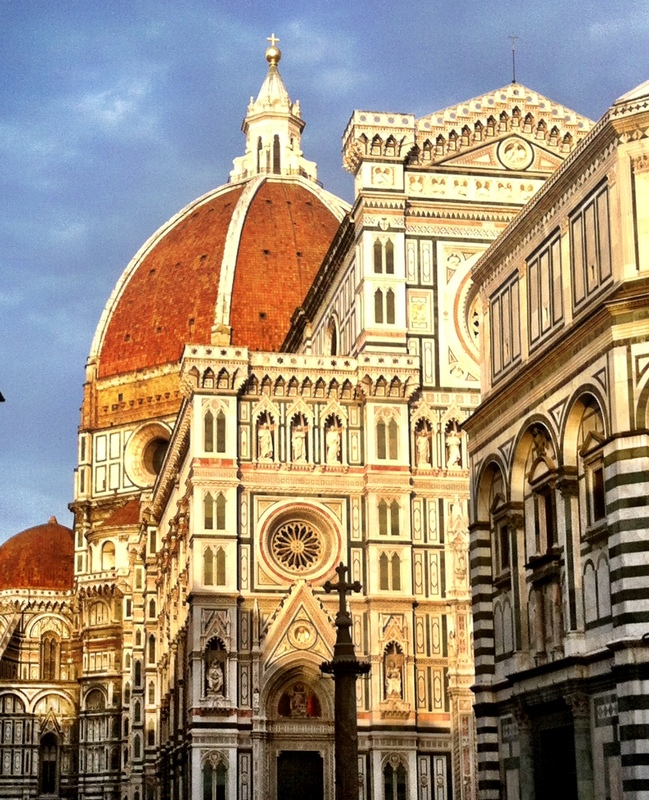 Duomo in Firenze – jaw-droppingly awe-inspiring cathedral just across the street where we stayed. The constant chiming of churchbells makes one feel a closeness to heavenly music and godliness. The renowned bridge of Ponte Vecchio across the River Arno in Firenze, housing solely jewellery shops which, in olden times, were butcheries and markets. 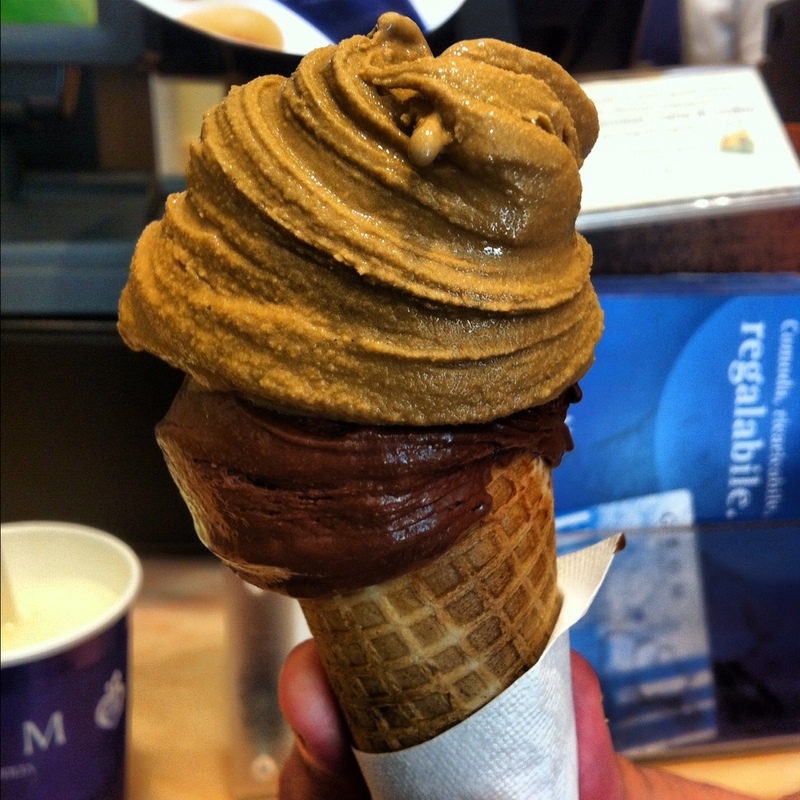 There were gelato shops everywhere one looks. An averge of 4-6 scoops of gelato was consumed daily by most in our group of whackos – yummily creamy and rich and delicious. No sightings of David but Nigella Lawson was sighted by us on a street in Firenze where she was doing a shoot/vid/whatever for a brand of gelato. Some in the group got excited but of course I was Totally Unmoved and Totally Devoted to searching for our David. Truth be told, I’m really surprised at the track list as I thought it would comprise of more spiritual songs along the lines of Be Still My Soul, etc. But, I have to say I’m loving the selection and am really curious to see what he does with some of the songs cause they honestly are some of my favourites. For those of you who are not familiar with the songs, a youtube user called cheche3d was kind enough to do a playlist of the songs listed. Do check it out HERE. 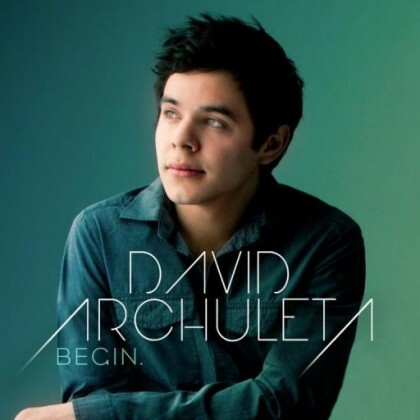 When I heard that David’s 4th studio album ‘Begin’ (I don’t consider ‘Forevermore’ to be an official David Archuleta album) was to be released this August a song with this word in the title immediately sprang to mind. I find the word ‘Beguine’ intriguing because of it’s many meanings; it’s the name of a ballroom dance that originated from the West Indies, it’s the name of a sisterhood of religious women that, although not particularly affiliated to any religious order, leads a very austere life, it’s also the name of music written in the bolero rhythm and also appropriately rhymes with the word ‘Begin’. But the definition that I like the most comes from the French word which is also spelled ‘Beguine’ which means infatuation or flirtation. It’s probably true to say that I’ve lost a bit of my ‘infatuation’ with David lately because I feel that he has not applied himself to his craft with enough artistic integrity. His more current musical endeavours comes across as far less ‘involved’ and frankly, plain lazy. It’s disappointing and perplexing to say the least. I find it hard to imagine the possibility that he could ever lack the inner pride to strive to create something noteworthy in his chosen field in which I feel he has ample talent to leave a significant imprint. It feels like he is more often ruled by his heart than by his head, which is not always bad I suppose if you’re talking about helping a fellow human being, but in one’s chosen work one must have that singular pride and integrity, an unyielding compulsion to make sure that it’s done well. It doesn’t matter what type of effort you put forth – how and what we create makes a big statement about who we are. It’s a reflection of our character – whether we have pride in our work or are we just going through the motions and hoping for the best? Would we expect a Leonardo Da Vinci to be anything less than distinctive? Or a Picasso to be dull and uninspiring? But I am prepared to throw caution to the wind and trust that David has expended more effort in this forthcoming CD. I am ready to be ‘bewitched, beguiled and bewildered’ once more for a talent and a voice that deserves to be better represented. So like the song says ‘begin the beguine’ and lets be reminded of the past which once promised so much and hope that the magic and allure is still there. I want that magic again. As you all know, David will be celebrating his 21st birthday on Dec 28.
an uplifting inspiration in a cynical world with his doggedly perseverance even in the face of self-doubt. All that by the age of 21. Let us be thankful and rejoice in celebrating him and the presence of such a being living in our midst. Now that he will be leaving us soon for 2 years to take on a full-time religious mission, there is all the more reason to celebrate him: for his strength of character and his steadfastness in his beliefs. Let us keep the David-spirit alive by our forever love. Let us pray that he will be kept safe and warm in God’s hands. Let us hope that he will come back to us after he has done God’s work. 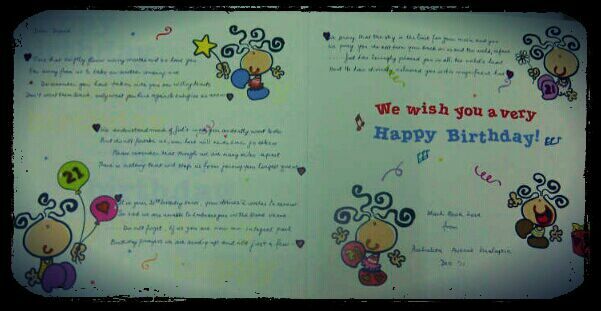 I have written him a birthday message on behalf of AAM, in a birthday card which I handed to Akang to be hand-delivered to Janey of FOD to be placed into David’s hands at the Santa Rosa VIP on Dec 14. Thank you to these lovely ladies for making it possible. And He has divinely coloured you in His hue.